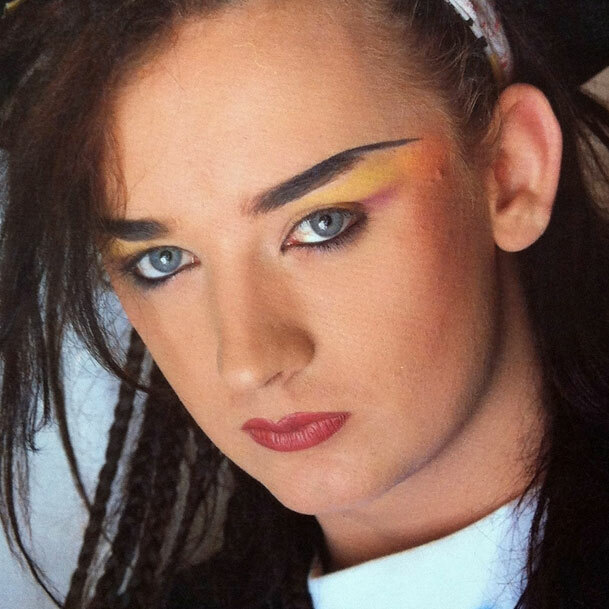 Starting at the very beginning, with the first record I ever bought – or rather one of the first two, ‘Karma Chameleon’ by Culture Club, fronted of course by the irrepressible Boy George. (For the record – the other single I bought was ‘Pass The Dutchie’ by Musical Youth. Things could have turned out quite differently.) I can’t remember being swept up by the furore gender-bender George caused at the time (I was only four) but later on I grew to love Rowdy O’Dowdy’s solo output – like a lot of my teenage records I found a copy of ‘Cheapness and Beauty’ at Croydon Library and promptly stole it. With the fines I racked up in ‘borrowing’ and not returning CDs, I could have bought my own copies of many of those albums but there was something illicit about finding hidden gems and keeping them to myself. When George launched his musical ‘Taboo’, I was entranced and even auditioned for the role of Leigh Bowery – there are few people who can get me dressed up in full slap at nine am outside the KFC in Brixton on a Friday, but George is one of them. Despite well-documented personal problems and being ignored by the music press and industry for many years, George recently returned with a newly sober but stylishly soulful sound. I first came across Rupaul in my teens (and no – this isn’t a Seth Rogen style story). ‘Don’t Go Breaking My Heart’ was a twee, first dance at the school disco style song in its original incarnation as a duet between Elton John and the dungaree-clad bowl-cut haired Kiki Dee. 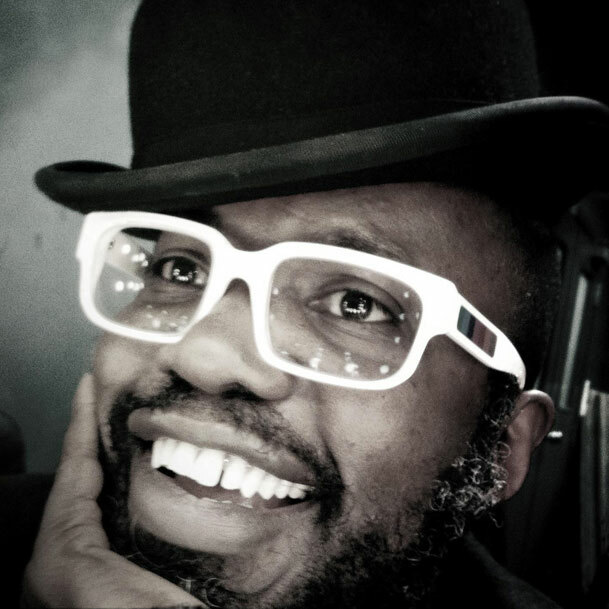 Re-imagined with Ru in the nineties, the song was camper than a row of proverbial pink tents. With rhinestones. And tassels. I was perhaps too innocent to realise that Ru wasn’t a ‘conventional’ lady when I saw her at the tender age of fourteen but by the time she had come back into the public eye with ‘Rupaul’s Drag Race’, the truth had been wholly ‘un-tucked’. Composed alongside her (impossibly gorgeous) co-writer Lucian Piane, the albums Champion and Glamazon are a must-have for any lover of trans glam. With themes of love and respect for others and ourselves, Rupaul’s music treads similar ground to gay icons such as Cher but with more balls and even more autotune. As Ru would say herself: ‘Available now on iTunes’. 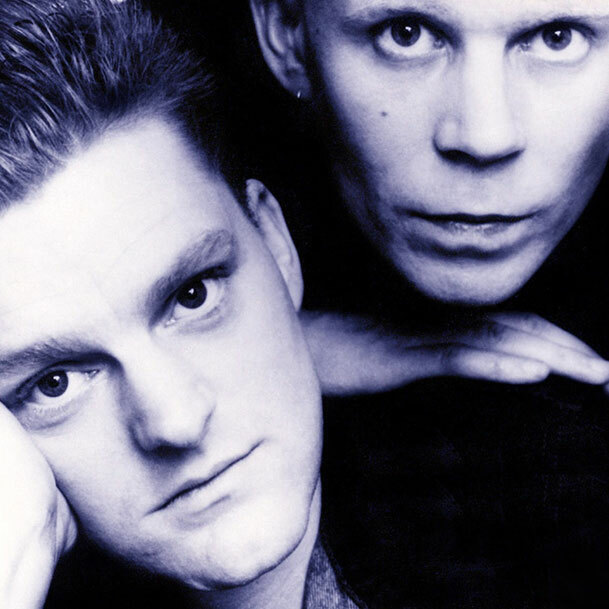 Growing up gay in the nineties was not a particularly romantic affair, but Erasure were perhaps the only really chart-topping British act that made no illusions about their politics or persuasions – at this point the Pet Shop Boys were still somewhat tight-lipped, despite male voice choirs on tongue-in-cheek Village People covers. While Vince Clarke concentrated intently on his keyboard, Andy Bell could be seen bopping away gleefully in his trademark white t-shirt and jeans on most of the television chart shows (remember them?) and although being an Erasure fan was rather a giveaway for a teenager reluctant to show his rainbow colours, they were an exciting and important marker of visibility and passion. Gay people didn’t have to be sexless, or miserable or invisible and their feelings were just as valid as Jason and Kylie’s. ‘Breath Of Life’, ‘Love To Hate You’ and of course their ‘ABBA-Esque EP’ epitomised pop perfection. Their musical template is still pretty much the same twenty years later, but ‘if it ain’t broke…’ Having said that, their recent Christmas album is quite unique and there aren’t many other ‘electronic’ bands that I can think of who’ve recorded live acoustic albums in Nashville. “You’ll like him – he’s gay,” was the phrase uttered in a whisper by one of my school friends as she passed me a cassette with a black and white cover and a photo of what looked like a pixie dressed as a waiter. She was studying opera and had somehow stumbled onto this otherworldly countertenor. On first listen, I certainly didn’t like him. I thought he sounded weird. But of course that was the point. 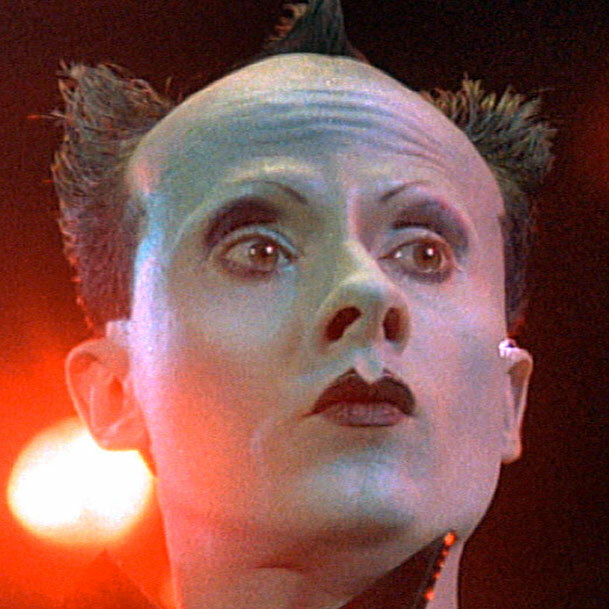 With a childlike, campy sense of humour and a literally unique voice, Klaus Nomi created his own classical / electronic crossover genre. Despite his short career, Nomi’s legacy is still as firm as his Mohican and as robust as the top notes in ‘Cold Song’. I once went to a party dressed as him with Walkman speakers blaring out his music. Nobody knew who I was meant to be. ‘You Don’t Know Me’ couldn’t have been more appropriate. Yes, it’s perhaps impossible to talk about David McAlmont without mentioning ‘that song’ – a co-write with Bernard Butler which became the anthem of many a cider-sodden nineties indie night. This unbelievably tall, velvet-suited troubadour strutted into the Britpop scene and demanded to be seen and heard. A hastily compiled but classic first album (which I also stole from Croydon Library) released just in time for the pair to split cut their glory days short – though a twenty-first century reunion saw them re-ignite the fire with the beautiful ‘Falling’. David is far more than ‘that song’ – a poet with an encyclopedic knowledge of the American Songbook and a thirst for Art History which provoked ‘The Glare’ – a splendid collaboration with minimalist composer Michael Nyman, the stylish soul of ‘A Little Communication’ and his new poetically political material with his band Fingersnap (listen very carefully and you might hear me in the choir on their song ‘The Bishop Of New Hampshire’). Of all my queer icons, I have a feeling that the best is yet to come from this one.